Dogs are required to have licenses to be in the City's dog parks. In addition, owners are warned that there has been a rise in the number of parvovirus cases and advised to have their dogs vaccinated. Parvo is potentially deadly and very contagious. The virus is extremely hardy and can survive in contaminated soil for over a year. 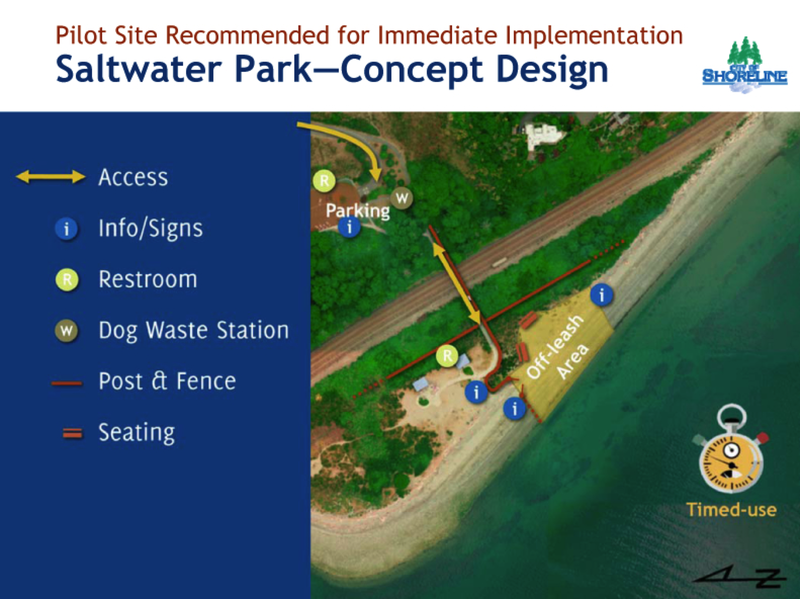 More information on Shoreline Dog Parks. This is great that there are off-leash dog parks. Unfortunately, dog owners will still treat every other park like an off-leash park. The leash law is rarely, if ever, enforced. What a joke.